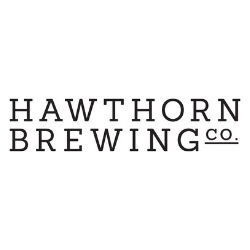 On November 14 2011 there will be a large number of people at a large brewery in Abbottsford either holding a collective breath or clenching collective buttocks as the Crown Ambassador Reserve is released to the public. After something of a stumble with last year’s offering of this premium take on an age-old brand, those in the marketing department particularly will be hoping for an uneventful launch. For those unaware, last year’s batch was, depending on your stance, cursed or blessed by a brewing infection known as ‘Brett’*. This is a blessing if you are deliberately setting out to craft a traditional Belgian Lambic beer – a curse if you are not. This unintended ‘fifth element’ was believed to have come from the used wine barrels employed in the lagering process. I joined Master Brewer John Cozens for lunch and a preview of the eagerly awaited fourth incarnation of the vintage release and he appeared, at least, to be sitting comfortably. As the beer was poured John explained the history of the Crown Lager brand [Though not this history, Ed.] and the philosophy behind the Ambassador Reserve. Created from the base ingredients used to brew Crown Lager, Crown Ambassador Reserve seeks to build on these four staples with traditional and modern brewing techniques to attain layers of complexity. In the case of this Crown, time is definitely an important ingredient. Brewed in a single batch after the March hop harvest the brew was liberally seasoned with fresh Galaxy flowers before some of it spends three months in oak barrels before bottling in August with hand-wax dipping in a limited run of 5,000 champagne style bottles. Again this year, each bottle is presented in a lined wood case. Cozens explains that the brewer’s aim, despite the commonality of ingredients from year to year, is to make each year’s vintage different from the last. How has the difference been achieved this year? This year has seen part of the brew mature in brand-new French oak barrels sourced from the renowned Dargaud et Jaegle (D&J) cooperage in France. This portion of the brew makes up 3 to 4% of the total volume of the brew. Apart from the hint of vanilla apparent in the finished beer, the new oak ensures that the risk of infection is reduced substantially. But the proof of the pudding is the pudding – how does this pudding fare? Pouring a rich deep gold and topped with a fluffy firm head, the first impression is warmth and comfort. The oak is slight but discernable in the aroma as is the restrained freshness of the Galaxy. A hint of tropical fruit and just a little oomph from the 10.2% ABV reminds the drinker that this is a world away from the Crown from which it draws its inspiration. A generous caramel-toffee sweetness is nicely balanced by the bitterness of the hops while the vanilla becomes more prominent in the mouth and the alcohol strength steps up and presents a slight sherry note. A little drier in the finish than the 2009 and a lot mellower and mouth-pleasing than the 2010, this year’s vintage is well crafted and becomes even more layered if patience allows the contents of the glass to warm. Cellaring for at least three years is again recommended to fully entice the charms of the 2011 Crown Ambassador Reserve to the fore but, on this early taste at least, most will find it a pleasant drop to get a conversation started today. Last year’s hiccup would seem to be but a memory and perhaps the marketing decision to keep the 2011 at last year’s price of $90 reflects something of a conciliatory gesture to those let down by the previous release and an intention to keep the Reserve on the calendar in future years. Available from November 14th, the 2011 Crown Ambassador Reserve is a welcome addition to the portfolio of mainstream beers offered by Australia’s largest brewer. It is to be commended for including something of genuine interest and far removed from its generic brands to show that it can have the drinker’s tastebuds in mind as well as their brand loyalty. *’Brett’ is an abbreviation of brettanomyces a non-spore forming yeast genus which, when unintended, is classified as an infection of the beer. It’s not a fault caused by a careless brewer named Brett. Pete Mitcham attended the lunch with John Cozens at The Atlantic at Crown as a guest of CUB. He paid for his own pre-lunch beer. $14 for a Bridge Road Brewers Chestnut Pilsner at the bar. Giddy-up, Ben! Fine things will certainly come to those who wait. So it is, this November, with the fourth vintage, 2011, of Australia’s most luxurious beer Crown Ambassador Reserve Lager available from Monday 14 November. The Crown Company’s $90, highly-anticipated flagship lager is a limited-edition release of only 5,000 bottles. 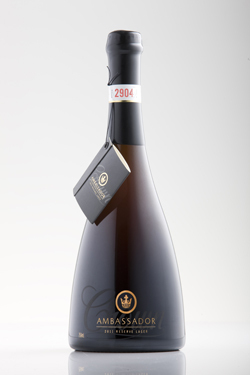 It retains many of the trademark qualities of the first three vintages including the signature ingredient, fresh Galaxy hops. These hops were all hand-picked in Myrtleford, Victoria on 21 March this year, and added to the kettle the very next day. First released in 2008, Crown Ambassador Reserve pioneered the luxury beer market in Australia and has been championing it ever since. A testament to the quality of the brew and the meticulously hand-crafted brewing process, the first three vintages have been served at some of Australia’s finest restaurants including Quay, ARIA, Circa the Prince and Catalina. Each of the 5,000 bottles released in 2011 are individually numbered, hand-waxed and finished in an opulent presentation case. The high demand expected for the limited fourth vintage means the bottles will likely be regarded a collector’s item by 2012. In its creation, the masterful Crown brewing team led by John Cozens is not content to reproduce a taste already experienced, so each year’s vintage is distinctive, with the only goal to brew a finer and more complex beer than before. This year has seen a portion of the brew mature for three months in brand-new French oak barrels sourced from the renowned Dargaud et Jaegle (D&J) cooperage in France. The final blending has seen this barrel-aged brew make up three to four per cent of the final lager. According to Crown Ambassador Reserve Master Brewer, John Cozens, using the French oak barrels was something untried at Abbotsford before – and hardly tried in Australia – and delivered a complexity in the final lager even he did not predict. “We have never used brand-new French oak barrels in the maturation process before and the result has blown us away – the lager has soaked up the ‘new wood’ notes associated with the first-time use of the barrels and this is evident in the layering of the tank brew with the barrel-aged brew,” explains Cozens. “There is also the hint of a subtle, vanilla bean flavour that is typical of French oak and is a result of the traditional tight grain of a barrel of this quality and French style. “We couldn’t be more thrilled with the 2011 vintage, the flavour is intriguing, and like nothing we have produced. It is a beer we are proud to say is all Australian,” says Cozens. For those who can wait, patience will again be rewarded as the beer develops and matures with age. Unlike other beers, it should be cellared at or around 15 degrees Celsius for optimal drinking for up to 10 years (recommendation is to wait at least three years). November also sees The Crown Company celebrate its partnership with The Presidents Cup, where Crown Lager will be served as the official beer. The prestigious golf tournament will be played at the Royal Melbourne Golf Club from 16 to 19 November. Crown Ambassador Reserve was established to showcase the brewing credentials of the Crown brewing team, offer something new to Crown drinkers and to honour Crown Lager’s longstanding history dating back 90 years. First brewed in 1919, Crown Lager was originally reserved for visiting and travelling ambassadors and dignitaries, until Her Majesty Queen Elizabeth II made her first visit to Australia as Queen in 1954, when it was released to the public. So in remaining true to the original brew, the same base ingredients are used, including the best malted barley, Crown Lager yeast and Pride of Ringwood hops. In tribute to this history, each year, the number one (0001) bottle of Crown Ambassador Reserve is delivered to Her Majesty on 2 June to celebrate the anniversary of her coronation. This year’s vintage has appealing lifted fruit-like notes as a result of the fresh Galaxy hops which were added to the kettle within 24 hours of picking. These lifted notes will mellow and become more integrated as the beer matures. On the palate, Crown Ambassador Reserve will have a rich, caramelised malty flavour, balanced by fennel bitter-sweet hop characters, finishing with a smooth, full-bodied mouth feel. The brand new oak barrels will contribute the hint of a subtle, vanilla bean flavour that is typical of French oak and is a result of the traditional tight grain of a barrel of this quality and French style. The new D&J barrels will offer the 2011 vintage a slightly drier mouthfeel from the tannins, counter-balancing the sweetness of the hops and adding to the complexity of the final brew. Crown Ambassador Reserve is simply a beer like no other ever brewed in the world. The fruity hop notes and complex character of Crown Ambassador Reserve make it the perfect accompaniment to fine cuts of smoked, grilled, or barbecued meats such as lamb, beef, or pork. It also works well with oily fish like salmon and trout, and is well suited to rich desserts, dried fruit, and vintage cheeses.